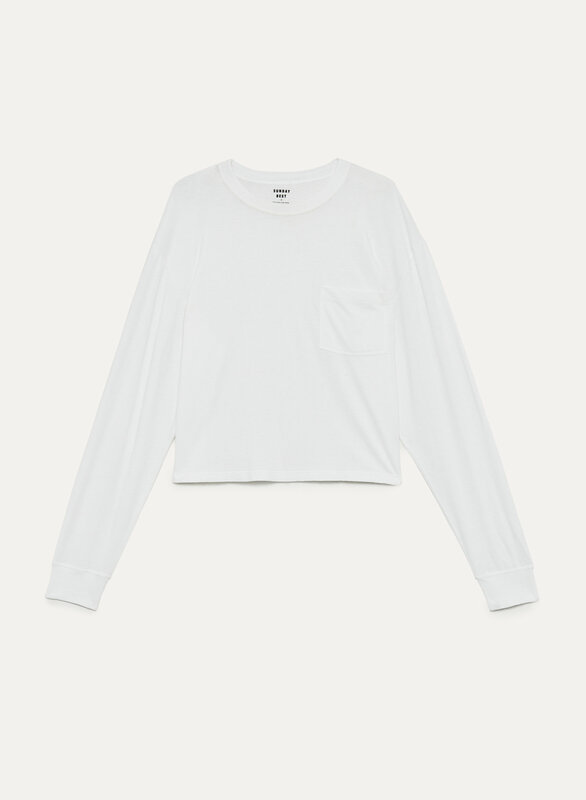 Made from an ultra-soft blend of cotton and modal, this longsleeve has a nice drapey look. It's cut for a cropped, relaxed fit and goes with pretty much everything. such a nice top, very light and easy to wear.